A beautiful Stephenson Blake & Company Ltd. type case from Sheffield London. 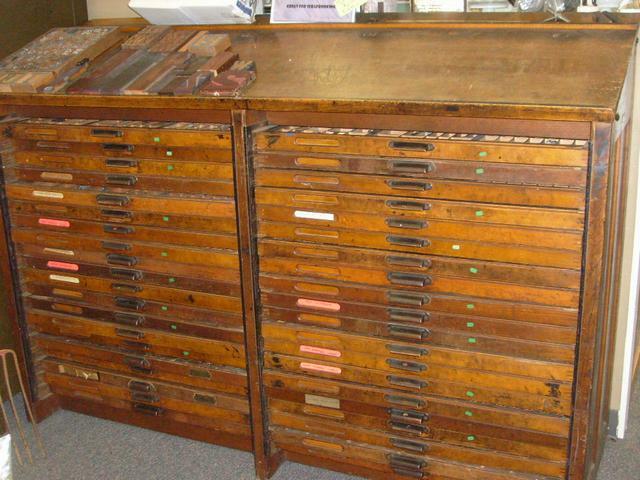 This georgeous piece has 40 drawers with 1000 pieces of wood type. This would be a beautiful piece in the lobby of a print shop...ask for dealer # 8175.